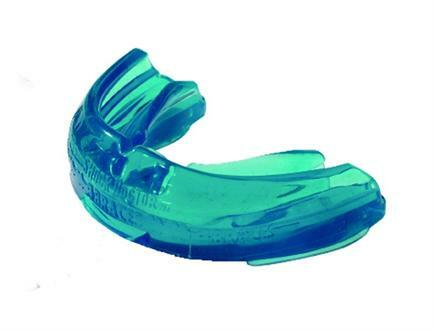 Specifically designed for athletes with braces. Constructed of 100% Medical Grade Silicone for ultimate comfort. Integrated Ortho-Channel fits securely over braces, protecting the mouth from lacerations and provides an instant fit. I had a terrible time with this, I used it for my football team and just boxing around with friends, it was extremely uncomfortable, it didn't fit right at all, and the only reason I gave it a 1 was because it actually fit in my mouth. Email your friend about the Shock Doctor Mouth Guard for Braces. Ask a question about the Shock Doctor Mouth Guard for Braces.